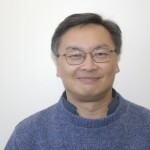 Professor Thomas Chen is an expert of computer and network security. His previous research projects have explored Internet security, intrusion detection, attack modelling, malicious software and cybercrime, with support from various US agencies and companies. He is co-editor of Broadband Mobile Multimedia: Techniques and Applications (2008) and Mathematical Foundations for Signal Processing, Communications, and Networking (2011), co-author of ATM Switching Systems (1995), and has published papers in a number of IEEE journals including IEEE Computer, IEEE Security and Privacy, IEEE Internet Computing, and IEEE Transactions on Smart Grid. 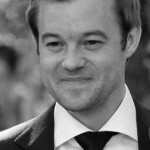 Dr Lee Jarvis is Reader of International Security at the University of East Anglia (UK). His books include Times of Terror: Discourse, Temporality and the War on Terror (Palgrave, 2009); Terrorism: A Critical Introduction (Palgrave, 2011, with Richard Jackson, Jeroen Gunning and Marie Breen Smyth); Cyberterrorism: Understanding, Assessment and Response (Springer, 2014, co-edited with Tom Chen and Stuart Macdonald); and, Counter-Radicalisation: Critical Perspectives (Routledge, 2014, co-edited with Christopher Baker-Beall and Charlotte Heath-Kelly). His research on the politics of terrorism, counter-terrorism and security has been published in journals including Security Dialogue, Political Studies, Millennium: Journal of International Studies, International Relations, Terrorism and Political Violence andCritical Studies on Terrorism. Professor Stuart Macdonald is a Professor of Law at Swansea University (UK). 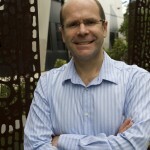 He has written a number of articles on counterterrorism legislation and policy which have been published in leading international journals, including Terrorism and Political Violence, Studies in Conflict & Terrorism, Sydney Law Review, Criminal Law & Philosophy and Cornell Journal of Law and Public Policy. He is co-editor (with Lee Jarvis and Tom Chen) of Cyberterrorism: Understanding, Assessment and Response (Springer, 2014) and Terrorism Online: Politics, Law and Technology (Routledge, forthcoming). He has held visiting scholarships at Columbia University Law School, New York, and the Institute of Criminology at the University of Sydney. His project on security and liberty was funded by the British Academy. 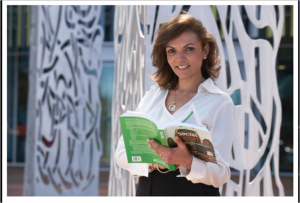 Dr Anne Aly is a research fellow at Curtin University with a focus on radicalization, counter terrorism and countering violent extremism. Anne leads the Countering Online Violent Extremism Research (COVER) Program at the Centre for Culture and Technology at Curtin University. Her research focuses on the use of social media by violent extremists and strategies to interrupt online activities including understanding of the audience and the role of victims and formers in counter narratives to extremism. She has written over 50 publications on topics ranging from Islamic identity to counter narratives and the policy response to violent extremism. Anne is the author of four books including Terrorism and Global Security: Historical and Contemporary Perspectives (Palgrave Macmillan). She was appointed to the board of the Council for Australian Arab Relations in 2009 and is currently serving a second term on the board. Also in 2009, she received the Australian Institute of Professional Intelligence Officers publications award for her theoretical model of internet radicalization. Anne is also the Founding Chair of People Against Violent Extremism (PAVE) a not for profit organization focused on empowering communities to challenge violent extremism. Karine Bannelier-Christakis holds a PhD in International Law from the University of Paris Panthéon-Sorbonne. She is Associate Professor at the Faculty of Law of the University of Grenoble-Alpes and Director of the Master’s Degree on International Security and Defence Studies. Her main areas of interest include International Law of Armed Conflicts, Use of Force, Cyber security, International Criminal Law and International Environmental Law. She has published or edited seven books and more than 30 articles and books chapters on International Law. She has been invited to speak in International Conferences and Seminars in Australia, Canada, Egypt, Estonia, France, Greece, Hungary, Japan, Lithuania, Singapore, The Netherlands, Tunisia, United-States and the United Kingdom. Her most recent publications include: ‘Cyber Diligence’: A Low Intensity Due Diligence Principle for Low Intensity Cyber-Operations?, Baltic Yearbook of Intl Law, vol. 14, 2014, (forthcoming), “Is the principle of distinction still relevant in cyberwarfare?”, in Russel J. Buchan, N. Tsagourias (ed. ), Manual on cyberwarfare, Edward Elgar Publishing (forthcoming), “Under the UN Security Council’s Watchful Eyes: Military Intervention by Invitation in the Malian Conflict”, Leiden Journal of Intl Law, Vol. 26(4), 2013, (avec T. Christakis), pp. 855-874 and the book The UN Security Council’s Use of Force Mandates: Law and Responsibility (co-edited with C. Pison, Paris, Pedone, 2013, 282 p.). Francesca Bosco is a Project Officer within the Emerging Crimes Unit in UNICRI, the United Nations Interregional Crime and Justice Research Institute. She earned a law degree in International Law and joined UNICRI in 2006 as a member of the Emerging Crimes Unit. In this capacity Francesca is responsible for cybercrime and cybersecurity related projects, both at the European and at international level. 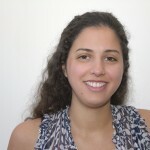 More recently, Francesca has been researching and developing technical assistance and capacity building programs to counter the involvement of organized crime within the field of cybercrime, as well as examining the legal implications and future scenarios of terrorist use of the internet and cyberterrorism. Furthermore, she is researching and developing projects on the misuse of technology, encompassing current and future challenging areas such as supply chain security, big data, ICS/SCADA security and robotics . She is a member of the Advisory Group on Internet Security of the EC3 and the Internet & Human Rights Centre of the European University Viadrina and co-founder of the Tech and Law Center. For a complete list of her publications and projects, please click here. Dr Madeline Carr is a senior lecturer in International Politics at Cardiff. She obtained her PhD in International Relations from the Australian National University in 2011 and her thesis examined the relationship between US power and Internet technology. After a short period teaching at Ritsumeikan Asia Pacific University in Japan, she accepted a position in the Department of International Politics at Aberystwyth University to initiate a new Masters in the International Politics of the Internet. Madeline is currently researching the political impediments to international cooperation on global cyber security. She teaches at undergraduate and postgraduate level on Internet Freedom, Internet governance, cyber security and the international politics of the Internet. Dr Irène Couzigou holds a PhD in International Law from the University of Paris Panthéon-Assas, France. She is a lecturer in Law at the University of Aberdeen, UK and director of the Master’s degrees ‘Public International Law’, ‘International Law and International Relations’, and ‘International Law and Strategic Studies’. She is also attached to the Max Planck Institute for Comparative Public Law and International Law in Germany where she regularly conducts her research. She can work fluently in English, French and German. Dr Couzigou teaches general International Law, Use of Force, Law of International Organisations, and International Human Rights Law, at both undergraduate and postgraduate levels. Her main areas of interest include Use of Force, Cyber security, Law of International Organisations, International Human Rights, and the Status of the State. She has published a 732 page book and several articles on International Law. Her newest publications include ‘The United Nations Security Council Sanctions and International Human Rights’, Vienna Journal on International Constitutional Law, 2016/3, pp. 277-311 and ‘Challenges Posed by Cyberattacks on the Law to Self-defence’ in August Reinisch, Mary Footer, Christina Binder (eds), International Law and…, Oxford, Hart Publishing, 2016, pp. 245-260. Colonel Metodi Hadji-Janev (PhD) is an Associate Professor of International Law at the Military Academy General Mihailo Apostolski–Skopje, University Goce Delcev–Stip, Macedonia, where he serves as Vice Dean for Education and Research. He is also Visiting Professor of Postgraduate Studies at the Law Faculty Justinian–I, University St Cyril and Metodij–Skopje. Colonel Hadji-Janev has served almost 12 years as a Special Forces Officer. His current research focuses on legal and strategic aspects of countering asymmetric, cyber and hybrid threats. He publishes, educates, trains and participates in research dedicated to critical information infrastructure and critical infrastructure protection on a regional (South East Europe) and international level, legal and strategic aspects of countering threats to CI/CII, and the development of legislation and strategic documents to effectively counter cyber and hybrid threat vectors. Dr Keiran Hardy is a Research Fellow on a five-year international project on anti-terror laws led by Professor George Williams at the University of New South Wales. He completed degrees in Arts (Politics and International Relations) and Law at UNSW, and has since completed his PhD examining the relationship between ‘hard’ and ‘soft’ approaches to counter-terrorism and counter-insurgency. Keiran has lectured at UNSW in public law, criminal law and national security law. He has published in leading Australian and international journals on issues relating to cyber-terrorism, definitions of terrorism, intelligence whistleblowing and security assessments of refugees. Wynne Jones recently completed his Mlitt in Terrorism Studies at the University of St Andrews, Fife. He is currently a guest lecturer at both Swansea and Swansea Metropolitan Universities and a regional police trainer in Counter Terrorism. His research interests include the application and impact of terrorism legislation both in the United Kingdom and globally and the threats posed by cyberterrorism in the 21st century. In a policing career spanning thirty years, Wynne has extensive experience of working within international counter terrorism law enforcement organisations such as the Metropolitan Police Counter Terrorism Command and the FBI. 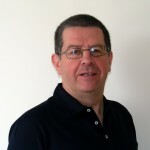 Wynne brings his experiences of the management of policing responses to terrorism and the practicalities of the investigation of global terrorism to the project. Simon Lavis has graduated with a first-class degree in Law and American Studies from Swansea University, with a year of intercalary study at California State University. His research interests include the influences and impact of entertainment television on viewer ideologies, and definitional and theoretical issues in the construction of legislation. He is currently interning on the project charting attitudes and opinion surrounding a wide range of issues relating to cyberterrorism. Dr Tim Legrand is a lecturer at the National Security College at the Australian National University. His research has explored the policies and legal instruments associated with counter-terrorism programmes, banning terrorist organisations and addressing cyberterrorism. This work has been published in British Politics, Policy Studies and the Journal of Comparative Policy Analysis. 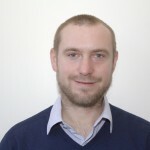 He is the co-editor of Emergency Policy(Ashgate, 2012) and is currently working on Extreme Events: Legal and Policy Challenges in Managing Crises (Ashgate, co-authored with Dr Saskia Hufnagel). Professor Nuria Lorenzo-Dus holds a Personal Chair in English Language and Linguistics at Swansea University, where she also leads the University’s research student training unit. She is the founding Director of the Language Research Centre a global hub for single, inter- and multi-disciplinary empirical research into language data and processes. Her area of expertise is media discourse, with a focus on social media practices. 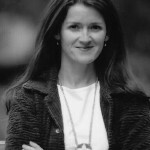 She has worked on a number of major research projects, including on the 2005 London bombings (funded by the UK Arts and Humanities Research Council) and on social media influence (funded by the UK Physical and Engineering Sciences Bridging The Gaps programme and Swansea University’s Research Initiatives Fund). She is the author of several books and over 50 articles and book chapters on media discourse analysis. David Mair is a PhD student at Swansea University investigating the articulation and presentation of the threat of cyberterrorism. Before coming to Swansea, he studied for his Masters degree in Intelligence and Security Informatics at the University of Abertay Dundee, graduating with distinction, and his Bachelors in Psychology at Glasgow Caledonian University. David has experience of working within domestic law enforcement organisations and hopes to bring this experience to the project, along with the skills he has developed from his inter-disciplinary background. Eva Nagyfejeo is a PhD student in the Politics and International Studies Department at University of Warwick. She holds an MSci in International Relations & Global Issues from the University of Nottingham. As part of the Universitas21 programme she spent the year 2009/10 at Lund University in Sweden. She is undertaking her doctoral research on Transatlantic collaboration in cyber crime and the Co-ordinator of the IAS Cyber Security Research Network at the University of Warwick. Dr Lella Nouri-Bennett is lecturer in Criminology at Swansea University. Her PhD research was undertaken at Swansea University and investigated the presentation of the cyberterrorism threat within UK and US political discourse. Drawing on both post- Marxist and poststructuralist theories of discourse, Lella’s research is primarily concerned with the implications of speculative security politics. 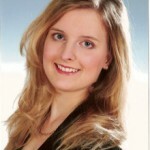 Lella has a Masters in International Relations from Swansea University graduating with a distinction. Lella is a contributing author to the forthcoming cyberterrorism book associated with the project. Her contribution, reflecting her research to date, involves an exploration of the relationship between traditional forms of terrorism and cyberterrorism; exploring the conceptual, normative and political implications of thinking about cyber-activities as terrorist. Prof essor Martin Rudner is a Distinguished Research Professor Emeritus at Carleton University, Ottawa, Canada. Prior to his retirement he was a Professor at the Norman Paterson School of International Affairs, and founding Director of the Canadian Centre of Intelligence and Security Studies at Carleton. Recent publications include a monograph: Assessing Cyber Threats to Canadian Infrastructure, Canadian Security Intelligence Service (CSIS) Occasional Paper on Priority Issues # 1, 2012 [with Angela Gendron], and articles on “Cyber-Threats to Critical National Infrastructure: An Intelligence Challenge,” International Journal of Intelligence and CounterIntelligence, Vol. 26, Issue 3 (2013) and “Al Qaeda’s Twenty-Year Strategic Plan: The Current Phase of Global Terror,” Studies in Conflict & Terrorism, Vol. 36, Issue 12 (2013). His current research interests encompass Terrorism and Counter-terrorism, Cyber-security, Critical Energy Infrastructure Protection and Resilience, Aviation Security and Middle East petro-politics. 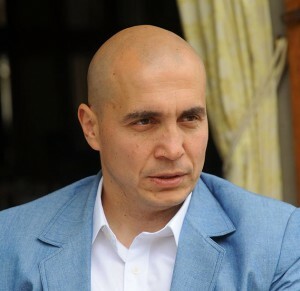 Ünal Tatar holds a BSc degree in Computer Engineering and an MS degree in Cryptography. 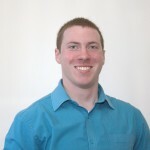 He is currently pursuing a PhD in Management and Organization. 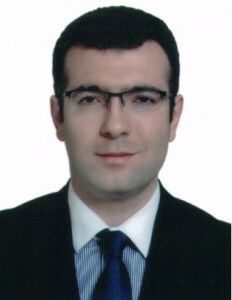 He has been working as a principal researcher at the National Cyber Security Institute, an affiliated institution of the Turkish Scientific and Technical Research Council (TUBITAK), since 2004. He is the former co-ordinator of the National Computer Emergency Response Team of Turkey (TR-CERT). He has served as a programme committee member of several national and international cybersecurity conferences. His main topics of interest are policy and strategic issues in cybersecurity, cybersecurity incident management, cyberdefence exercises and risk management. He is the author of several journal and conference papers in the field of information and cybersecurity. 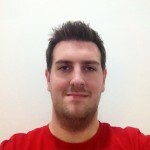 Dr Andrew Whiting is a lecturer in Security Studies at Birmingham City University. 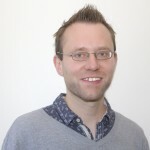 His PhD, which he undertook at Swansea University, researched the manner in which cyber-threats have been constructed within internet security discourse. Outside of this Andrew’s work has explored a broad range of topics including: the issues and difficulties associated with defining cyberterrorism, the articulation of cyber-threats and the construction of cyber-terrorism within media discourse. His work has been published in the journal Perspectives on Terrorism as well as in edited volumes including Cyberterrorism: Understanding, Assessment and Response and Researching Terrorism and Peace and Conflict Studies. Professor Geor ge Williams is the Anthony Mason Professor, a Scientia Professor and the Foundation Director of the Gilbert + Tobin Centre of Public Law at the Faculty of Law, University of New South Wales. As an Australian Research Council Laureate Fellow, he is engaged in a five year international project on anti-terror laws and democracy. He has held visiting positions at Osgoode Hall Law School in Toronto, Columbia University Law School in New York and University College London. George has written and edited 31 books, including Global Anti-Terrorism Law and Policy.